In the pursuit of beauty, many women strive to attain the flawlessly sleek hair often seen on models and movie stars. 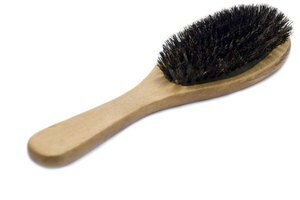 Attaining a super-smooth style presents an ongoing challenge for hair that's naturally curly, wavy or frizzy. Hair rebonding counts among the styling techniques used to straighten hair. Once the waves and kinks disappear from your hair through this heat and chemical process, it's time to decide what hairstyle will work for your rebonded hair. The traditional bob haircut--short and sleek, with all the hair cut to the same length--ideally showcases straight hair, making it a common choice for rebonded hair. A bob doesn't limit you to one look, however, as the length can vary from just below ear level to your shoulders, all one length or cut at an angle and longer at the chin. TargetWoman.com advises asking your stylist to use a razor to trim the ends, to optimize the hair's movement and let your rebonded hairstyle shimmer as you move. Adding layers to rebonded hair will soften its appearance. Cutting into straightened hair takes the weight off the roots, and especially benefits thick hair, which tends to appear heavy after treatment. Layers allow more movement for any hair length, and BecomeGorgeous.com suggests that adding layers will keep your style from looking boring or monotonous. Although it may seem contradictory to add curl to rebonded hair, rollers add occasional waves to your straightened locks. Due to the chemical rebonding treatment, you must treat your hair with care. Your stylist likely will advise you to use a deep conditioner frequently, while avoiding too much shampooing, extensive heat and chlorine after treatment. 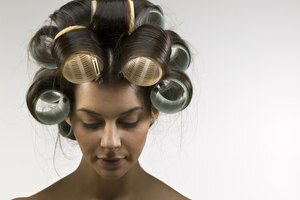 However, the occasional use of Velcro rollers and a hairdryer will safely add temporary Hollywood waves to a rebonded hairstyle. Adding bangs to a rebonded hairstyle will completely change its flavor. Latest-Hairstyles.com notes many variations of bang styles, from short to long and from the traditional pageboy with bangs at eyebrow level, to a choppy or slanted, side-swept look. When adding bangs to a rebonded hairstyle, keep your hair in good condition so it stays smooth and lustrous.